Why do people often come to hate the people who provide them with a living? Doctors abhorring and ridiculing their patients; lawyers mocking their clients; shopkeepers disrespecting their shoppers; public servants thwarting the public? It is resentment, most likely, from the knowledge that they would not make a living without those people. That resentment causes them to take offense when none is given, and to lash out with vitriol when none is warranted, to treat people with great disrespect and contempt. 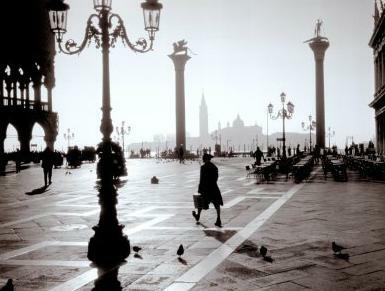 This is what I think of when I recall my last visit to Venice, Italy. 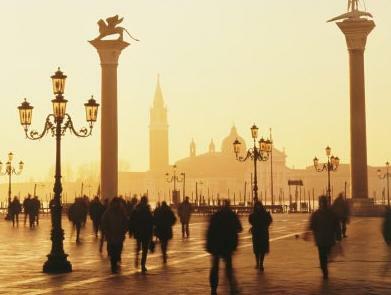 Mass tourism gives the people of Venice a living that they would not otherwise have in their impractical, archaic city. The tourism receipts and taxes pay for the upkeep of the ancient structures and infrastructures, prolonging the life of a dying city. 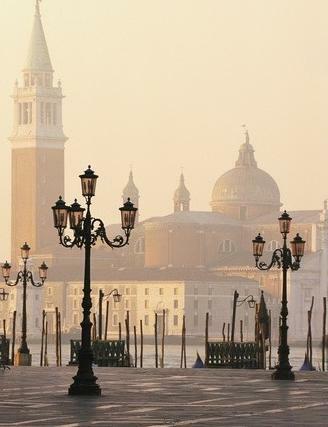 And yet many Venetians treat the city's eager, joyous visitors with a general contempt. In most cases the contempt is restrained, but I witnessed, and suffered, cases of lack of restraint, cases of face to face hostility and insult that was in no way provoked. and the modern mass tourism era. Reading this book, Italian Venice: A History, you'll get a glimpse of the history that Venice has experienced in the past 200+ years. That was why I requested a review-copy. Sorry, but back to my griping...I grew up in a city that earned much of its revenue from tourism, in the days before mass tourism had a name. Instead of contempt, we enjoyed the tourists, and helped them whenever we could to appreciate and experience the history, and present, of our special city. We understood what they brought to us economically, but we also appreciated the refreshed vision they gifted to us. They allowed us to see our beautiful, unique city through new eyes, to appreciate the beauty anew, to relish the unique history again. Tourists brought rebirth to our own love-affair with our town. Oh, that Venetians could be so sophisticated! Or at least that they could be as educated as New Yorkers became in the 1980s in an effort to save their tourist industry, learning to be civil and kind and helpful to the hoards who invaded the skyscraper island. 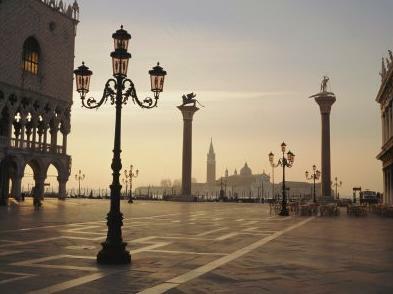 Quite a few native Venetians could use an education in civility. While their city is unique in the world, their experiences with mass tourism are anything but unique. Their sense of martyrdom, and their sense of an entitlement to resentment and hostility, and to a make-a-quick-buck attitude, is a petty response to something that hundreds of other cities face every year with much more grace. The idea of a Venice without Venetians horrifies some people, but after my last visit to the city, I would actually only consider returning to Venice when all the Venetians are gone, and well-trained attendants have taken their place, so that no one has to suffer the abuse that I suffered, and that I witnessed thrown at people who had spent a small fortune to make a trip-of-a-lifetime. In this elegant book Richard Bosworth explores Venice—not the glorious Venice of the Venetian Republic, but from the fall of the Republic in 1797 and the Risorgimento up through the present day. Bosworth looks at the glamour and squalor of the belle époque and the dark underbelly of modernization, the two world wars, and the far-reaching oppressions of the fascist regime, through to the “Disneylandification” of Venice and the tourist boom, the worldwide attention of the biennale and film festival, and current threats of subsidence and flooding posed by global warming. He draws out major themes—the increasingly anachronistic but deeply embedded Catholic Church, the two faces of modernization, consumerism versus culture. 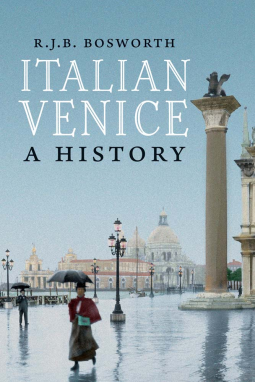 Italian Venice: A History is published by Yale University Press. They maintain a fascinating blog.